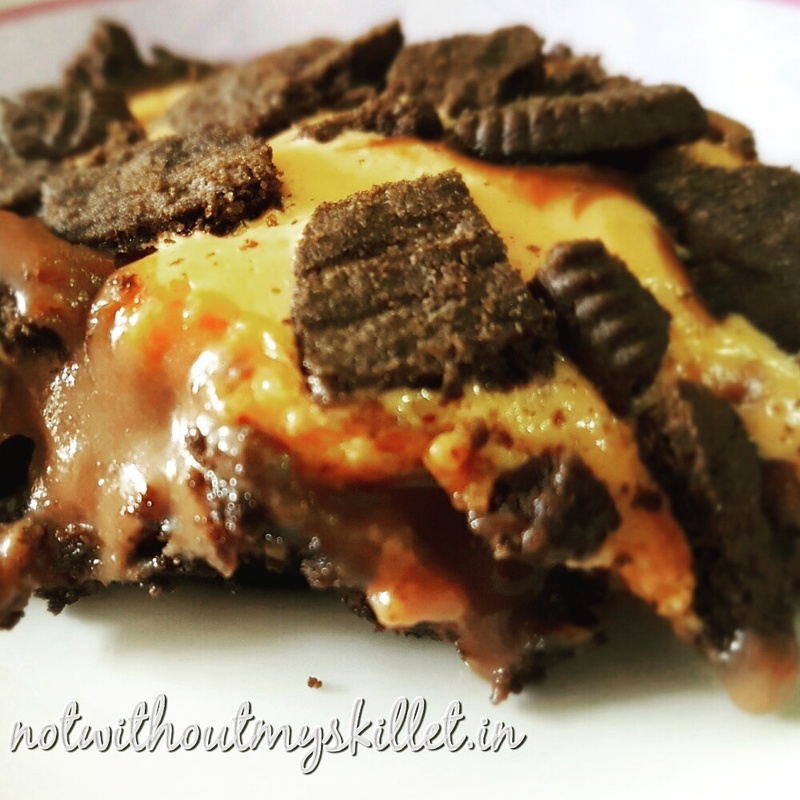 This recipe has been inspired by Ridhi, a colleague, who brought to work a no-bake Oreo Cheesecake. It was so simple to make that we decided to adapt the recipe for a cooking column I do for RobinAge, a weekly children’s newspaper. After all which kid doesn’t like Oreo or chocolate? But me, being me, I decided to add a twist to it! Another colleague Melissa had brought along a bag of marshmallows! (It helps to work with an almost all-woman team, who love food) The pink and orange marshmallows found their way into this 10-minute gooey chocolatey dessert! Enjoy!